Fortune 500 Company is among the largest global providers of insurance, annuities and employee benefits programs. Fortune 500 company has over 90 million customers, and has operations in over 60 countries and holds leading market positions in the United States, Japan, Latin America, Asia, Europe and the Middle East. The staff at Fortune 500 Company were dissatisfied with their current TEM Provider. The existing solution was falling short as they weren’t effectively managing spend and the platform wasn’t user friendly. Fortune 500 Company wanted increased cost savings, a more robust inventory, better record of invoice payments and deeper visibility to give their business managers the ability to self-service. Fortune 500 Company’s purchasing department developed a comprehensive RFP and sent it to the top four TEM providers. 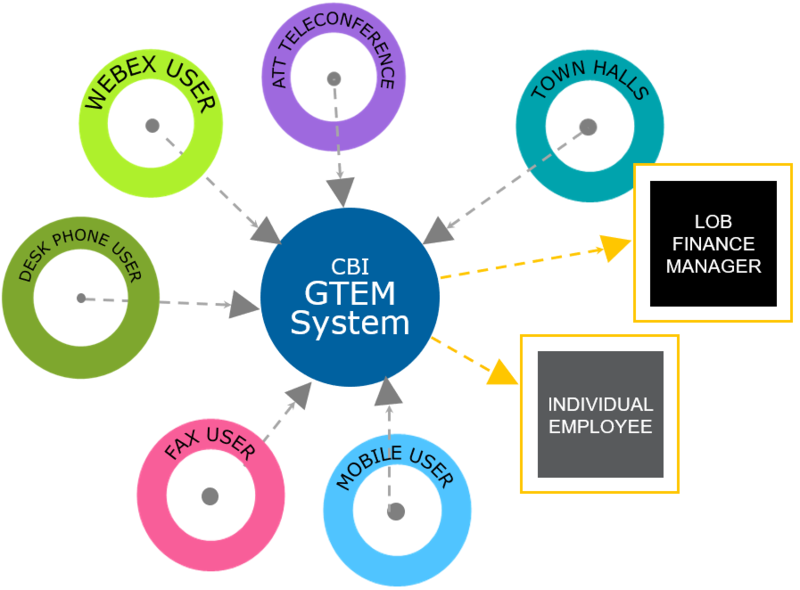 CBI Telecommunications Consultants with the GTEM® Solutions Platform was selected. CBI conducted a wireless audit and optimization and began processing Fortune 500 Company invoices for review, approval and payment. As of Q1 2018, Fortune 500 Company has 58 vendors with 1,063 active wireline and wireless accounts. Fortune 500 Company implemented CBI’s TEM offering – GTEM® Solutions – as their TEM solution. The CBI managed service solution consolidates all reporting, support and transmission of telecom expenses into one system. GTEM® Solutions handles wireline/fixed and wireless monthly bill review, invoice approval, audit and cost allocation, inventory of telecom assets and line of business reporting. Mobility and fixed cost reduction were achieved through invoice audits, optimization recommendations and MAC-D orders and support. CBI’s managed service solution, by our experienced consultants, became an extension of Fortune 500 Company’s staff, allowing them to effectively manage their telecom spend with a user friendly platform that provided a more hands on end-user portal. Wireless expenses saw a 33% cost reduction, while wireline expenses saw a 12.5% cost reduction. GTEM® Solutions verified a 1-time cost avoidance of more than $1 Million and combined with the annualized cost avoidance, resulted in a 25% cost reduction in the first year. An additional benefit of working with CBI Telecom is CBI’s status as a woman-owned business (WBENC), which helped Fortune 500 Company achieve additional diversity goals. Fill out this form to calculate your yearly savings by choosing CBI Telecommunications. Please enter a value between 1 and 1000000. Please enter a value between 1 and 100000000.